King Attalus’s majestic paradise, Antalya, with its unique nature and glorious history, is considered the capital of Turkish tourism. With its mountains, plateaus, rivers, canyons, majestic memorial trees, national parks, uniquely beautiful hiking trails, Antalya, a true center of nature-based tourism, also hosts numerous bays and beaches. Antalya is three times bigger than the Central Anatolian city of Konya, they say. The reason for this comparison is the majestic mountains surrounding the city’s environment. You can start your day with tropical plants and insects and end the day with steppe plants of the Iran-Turan climate in Antalya, which embraces different climates and ecosystems. Remember that more than 600 of 3,000 plant species in Antalya are endemic. Human footprints in the Karain Cave, the history of which dates back 200,000 years, shows that Antalya was one of the most important stops on the long journey of the history of mankind. To have a better understanding of the nature and geography of Antalya, you should see Karain, the Kırkgöz water resources, which resemble an eagle’s nest, and the ancient city of Termessos. Beydağ Coast National Park, extending from the Antalya Port to Gelidonya, hosts many small and large summits, especially Tahtali (Olympos). Swimming in enchanting bays on the border of the national park, surrounded by the spectacular nature and history of the ancient city of Phaselis, is a great privilege. Also, Antalya promises much more to nature lovers. This area has a majestic cedar tree known as “Ambar Katran,” which is located in the Dibek Nature Conservation Area and is known as the oldest of its kind in the world. Ambar Katran, enshrined as a memorial tree, is 2331 years old. The cedar tree is 320 years older than Jesus, 220 years older than Caesar and shared the same time as Alexander the Great. 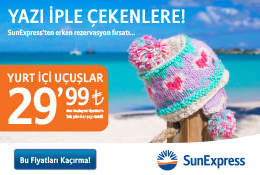 Antalya, alone with its cedar and pine forest, it is also a true paradise of scrub vegetation. You should soak up the smell of the Mediterranean by drinking a cup of hot water with gum tree leaves, two sprigs of Lavender and a pinch of flowers. Canyon National Park, located east of Antalya, is listed as one of the world’s top 10 recreation areas. The national park in Manavgat welcomes almost 1 million visitors every year. Rafting in the Köprüçay waters is among the most preferred activities. The ancient city of Selge, reached after passing a historic Roman bridge, Tazı Canyon and cypress forests are also among the places to be seen. The St. Paul Trail, which is the second most important cultural route in Turkey, starts from Perga and Aspendos and ends in Yalvaç by two different routes. You can walk the section you choose, with rich trails where you can find nature and history together. The 500-kilometer route follows the rich geographical and cultural heritage of the region, with important parts of the route followed by St. Paul, who was one of the 12 apostles of Jesus, to spread Christianity from Jerusalem to Rome. You should visit a few times to fully explore the rich nature of Antalya. You should climb the 3,000-meter Kızlarsivrisi peak, climb rocks at Olympus or Geyikbayırı and take a walk on the Lycian and St. Paul trails. You should also try meatballs at Korkuteli, ice sherbet at Gömbe and see flying waterfalls in Serik and the Green Lake in Kas. Explore the nature and history of Antalya, from Karain to Kaleici, at the Antalya Archaeological Museum.